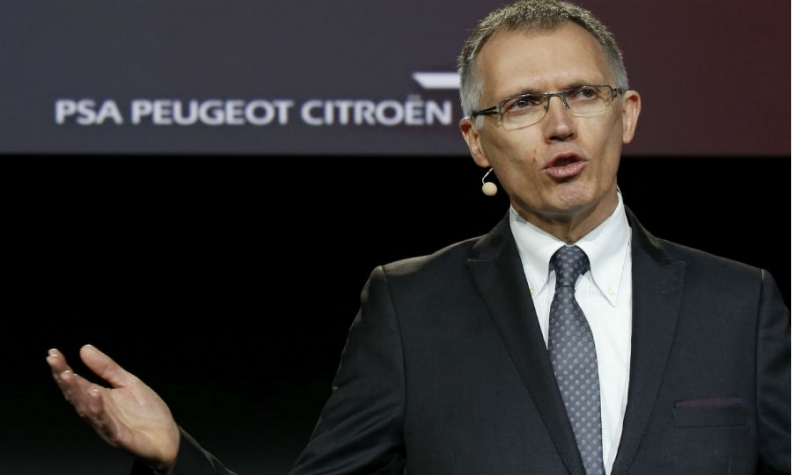 PARIS -- PSA Group CEO Carlos Tavares told reporters during the Paris auto show that the automaker will first offer mobility services as part of a "step-by-step" plan to return to North America over the course of 10 years. Tavares said PSA will take a cautious approach by initially using its partnerships with mobility service providers as part of a learning phase before it brings PSA-produced vehicles back to North America. "We will take a step-by-step approach by first offering mobility services to learn about consumers' expectations so that one day, we will produce our own cars for fleets there," Tavares said. "The last step will be to sell our own brands there using a distribution model we will adopt at a certain time, because by then, many things will have changed." PSA will re-enter the U.S. market through car-sharing partnerships initially, Gilles Le Borgne, PSA's executive vice president for research and development, told Automotive News Europe. "The final step will be to offer PSA vehicles there that we will sell through traditional distribution channels," Le Borgne said. The French carmaker said in September that it plans to offer car-sharing services in Los Angeles through its partnership with Bollore Group. However, Le Borgne did not specify which PSA models Bollore will offer. "The possibilities are open," he said. Bollore makes its own batteries and electric vehicles for its Autolib car-sharing services brand in France, but it uses Citroen C-Zero EVs in its fleets in Lyon and Bordeaux. Bollore also is offering a production version of Citroen's E-Mehari compact EV, shown at the Geneva auto show in March, in its car-sharing fleets. The Peugeot brand exited the U.S. in 1991.